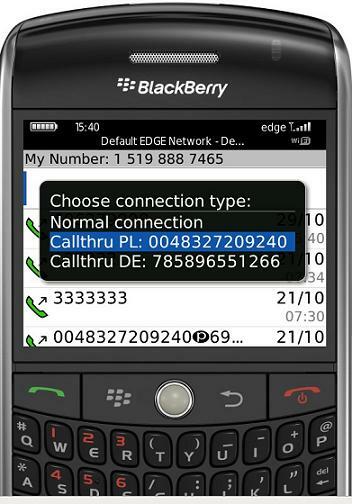 We have just released the first version of a simple call thru dialer for Blackberry. It does not use any data connection, only normal GSM call to connect to an access number and dial the destination number. It is basically a calling card scenario, the application only simplifies the whole process of connecting.